I’ve always been into working out ever since I realized I hated playing sports but still loved being active. I’ve been apart of some sort of gym / group fitness atmosphere for the past twelve years, and professional the last five, so I know a lot more about health and fitness than your average style blogger. Trust me when I tell you this is the best gym bag I have found to date. 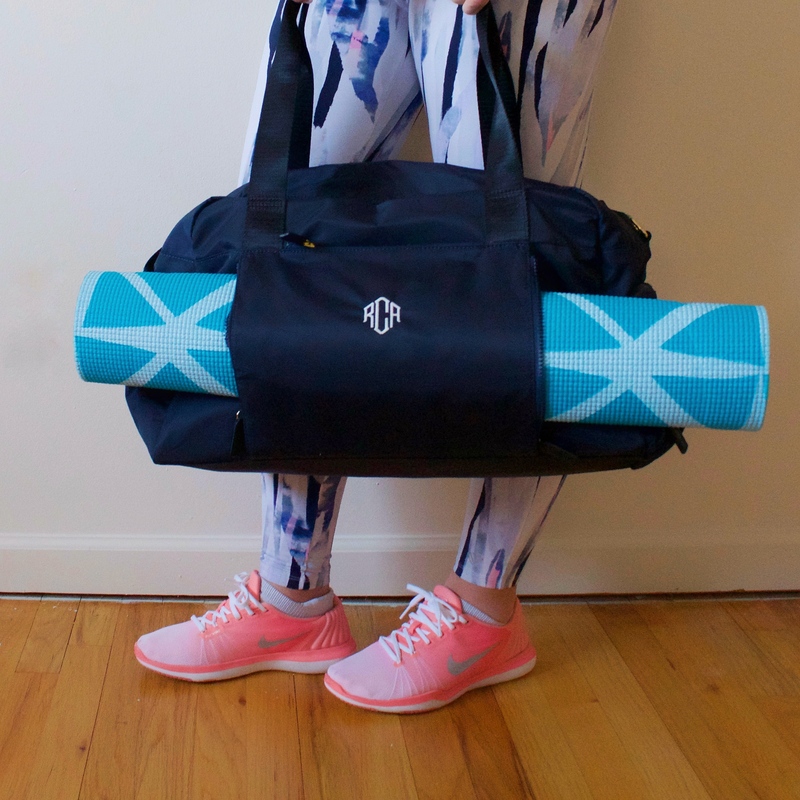 Finding the right gym bag is a personal preference that really depends on how you use it. 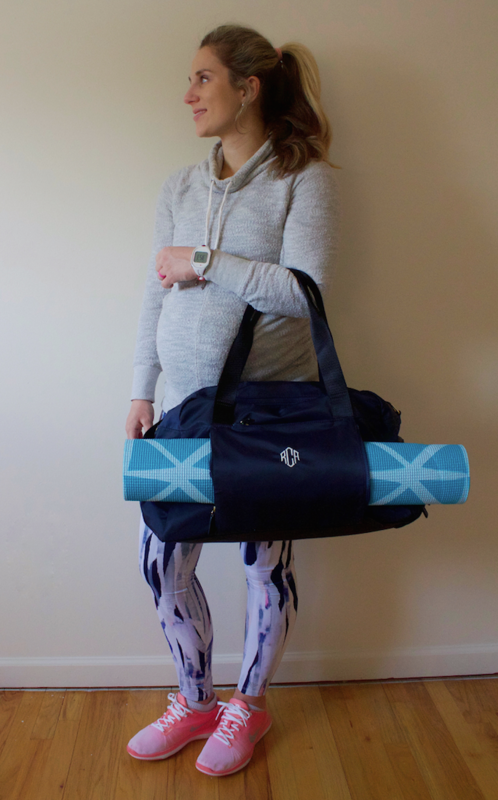 Some people are OK with a simple tote that they throw things in, while others depend on versatility because they work out often and/or shower at their gym. I fall into the later category and depend on the functionality of my bag to help keep me organized. 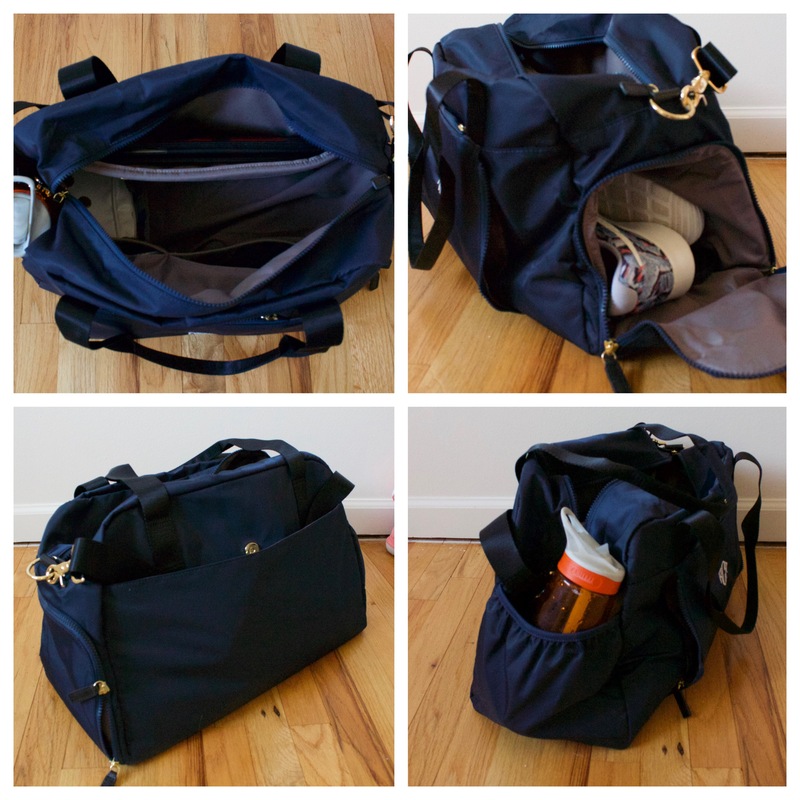 This bag has a total of EIGHT pockets and compartments – each designated for a different use. The very front of the bag has zippers on the side that once unzipped can hold a yoga mat, and right above the monogram is another compartment that I use for random hair ties and headbands (being without one can ruin a workout for me). One side of the bag has a place for a waterbottle, and the other side has a compartment for shoes. I would never buy a gym bag that didn’t have a compartment for shoes and flip flops! I find it so useful and helps my inner germaphobe feel more at ease to keep it separate. The back of the bag has a huge slim pocket that can hold anything you want easy access to. The inside has three pockets – one larger one that I use to keep my iPad and workout class lessons in. It would also fit a laptop as well. Opposite of that pocket is two smaller compartments – I keep my instructor essentials in there such as a mic belt, windscreens for the mic, & wallet, as well as extra headphones and socks. The entire interior and exterior are completely wipe-able so it will look brand new for a very long time! I’ve owned this retired Gaiam bag forever (7+ years), and while I bought other gym bags throughout the years, I always went back to it because of the compartments. I can now say that bag has been replaced and upgraded majorly with this new gym bag. I’ve never felt so organized in my life as this bag checks all of my boxes for my dream gym bag. I couldn’t have design one better myself! While it may be more money than some are willing to spend on a gym bag, I find that owning the perfect version of something ends up costing you less over time. Settling on a lesser version of something so functional that will end up being replaced anyway costs time, money, and frustration over the years. Buying the right version the first time is worth its weight in gold. 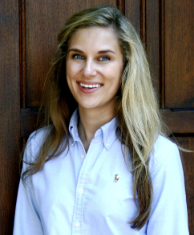 Plus, who can resist the navy and monogram? What bag do you use for the gym? 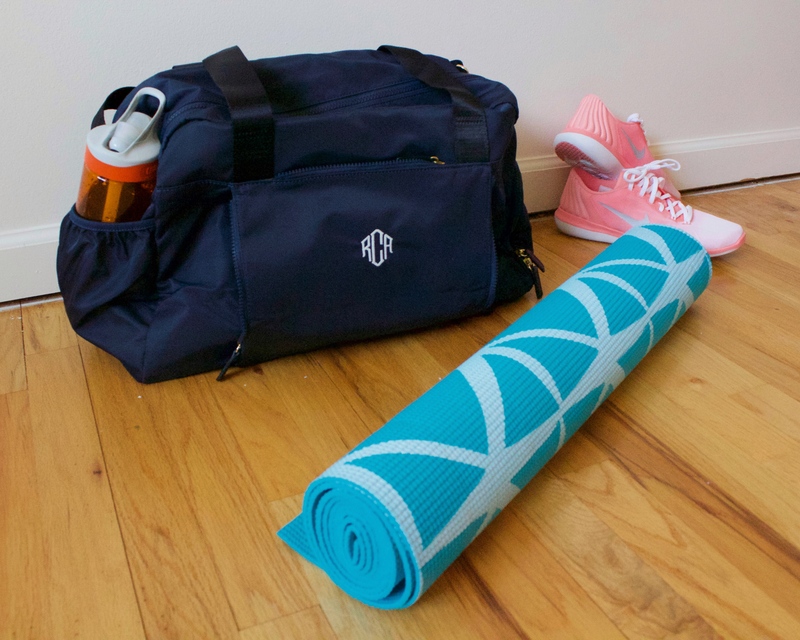 What are your must-haves for a gym bag? I love the idea of the yoga mat pocket and kicked myself for not buying this bag for my own gym routine. I also need the sneaker pocket to feel secure about the germies. The only thing is that I wish this bag came in more colors. I ultimately settled for a lesser bag because it came in yellow. I bet your yellow bag is cute though!! I have always used a bright green bag, but since everything I wear to the gym is bright (I’m not a wear all black to workout girl), I would end up carrying the green bag, wearing a green coat, bright patterned leggings, bright pink shoes, etc. Which is fine, but the navy makes me feel a little more put together when I’m wearing all bright colors lol! I’m pleasantly surprised it came in something other than black!